When Atlanta-based restaurateur Ford Fry cooks at home, he’s looking for meals that are healthy, while not skimping on flavor. He uses the tastes of Southeast Asia to bring a lot of pop to the taste buds without added calories or fats. 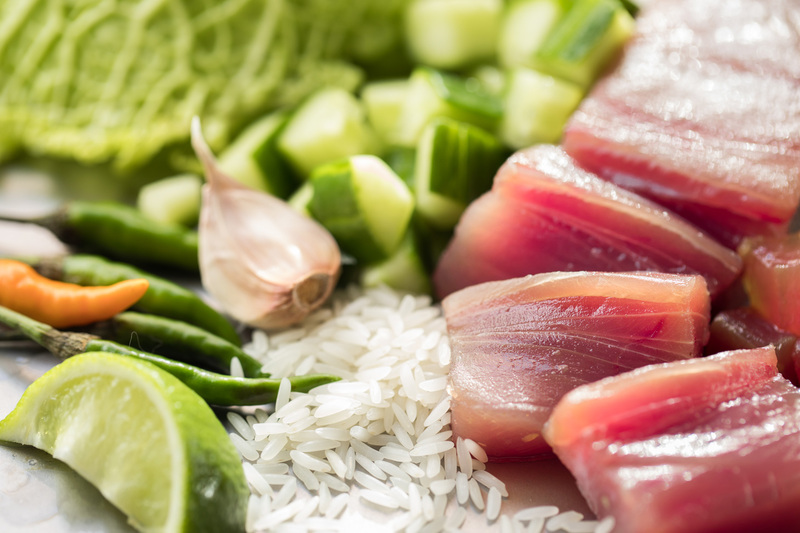 In this recipe, Fry combines fresh tuna with Southeast Asian flavors to create a bowl that is healthy and flavorful. 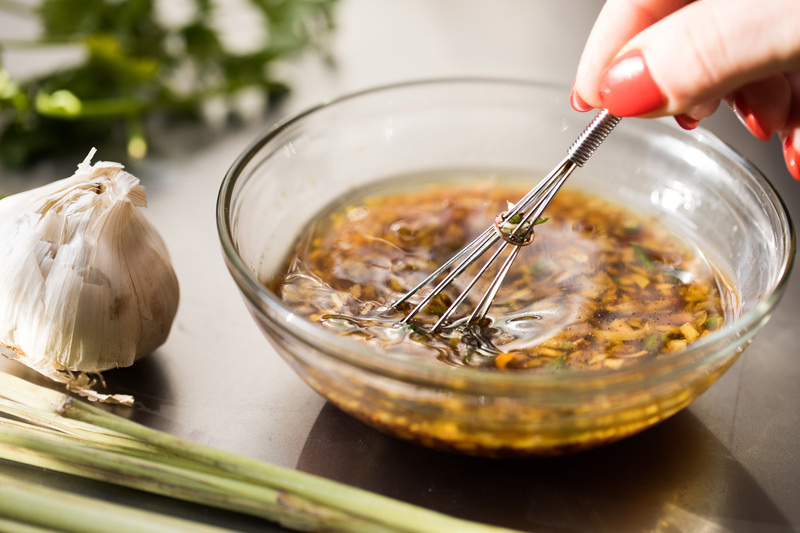 The Thai herbs, such as fresh mint or cilantro, which will “give you that big flavor punch,” says Fry. Pairing it with tuna is the ticket. “I love tuna,” said Chef Fry. Fry’s tuna tip: Make sure the fish is kept super cold before it’s served. 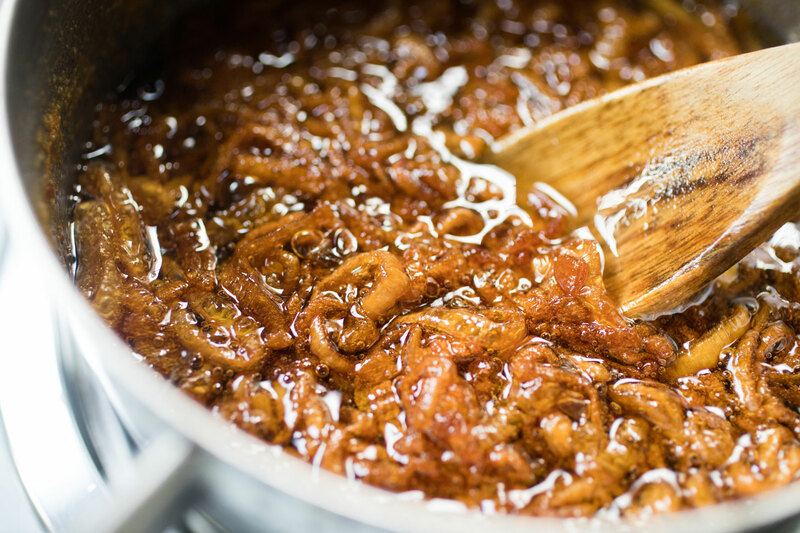 “I really want the tuna ice, ice cold, so I keep it in a bowl, dug down into some crushed ice.” Fry enhances the tuna with different sauces, such as fish sauce, palm sugar, soy sauce, lemongrass, etc. 1 tablespoons peeled and minced fresh ginger. Peel and slice thin 6 large shallots. In an appropriate sized pot, just cover with vegetable oil and turn on medium-high heat, stirring occasionally until dark golden brown. Strain from the oil (reserve the oil if you like) and place on a towel lined tray to cool and crisp. In a small pot, bring 1 cup plus 2/3 cup water to a boil. Stir in the jasmine rice and a pinch of salt. When the water returns to a boil, cover and turn heat to low. Cook covered for 17 minutes. Turn off heat and keep covered for 5 more minutes. After 5 minutes, fluff rice and cover to keep warm. 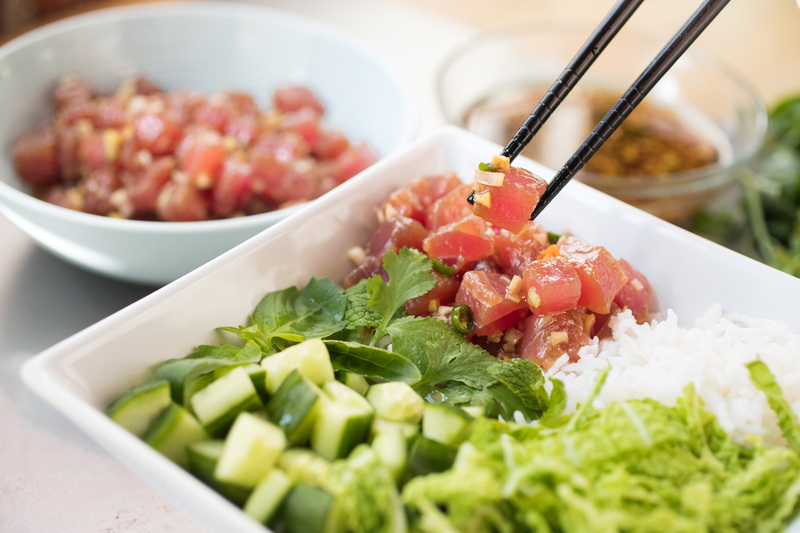 Begin by dressing the tuna with a ½ cup of the poke dressing and then chill. “You want it very cold,” says Fry. While the fish is chilling, build the bowls in compartments (like a pie chart): scoop of rice, cabbage, cucumber and herb mix, and then the tuna. Top with crispy shallots and drizzle sauce over the top. Garnish with ¼ lime (meant to be squeezed into the bowl). Throughout his childhood, Chick-fil-A Chef Wing Lau watched his parents work in kitchens at Chinese restaurants, after traveling to the U.S. from Hong Kong when he was only 5-years-old. Over time, he observed them and picked up culinary skills and techniques that would later serve him well — how to hold a knife, break down a chicken and clean a fish — but what really stuck with him was something else: the hard work.